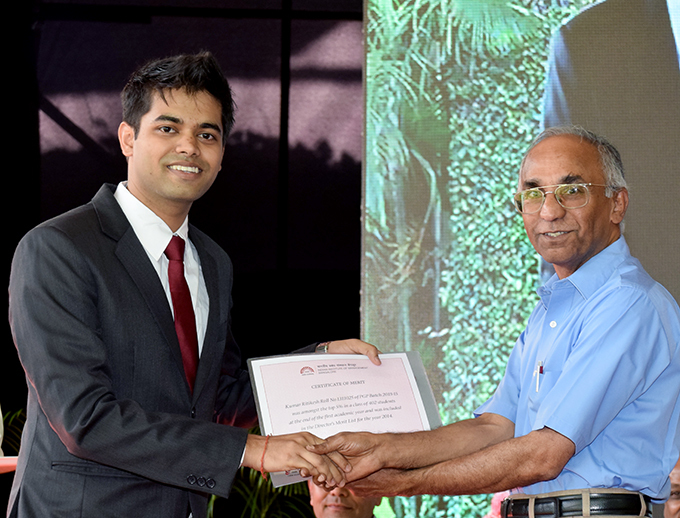 The Financial Times has rated IIIMB's doctoral programme in the Top 50 globally in 2014. IIMB collaborates with over 114 top B-schools in the world for various research initiatives and student & faculty exchange programs. IIMB has 150+ faculty members, including visiting and adjunct faculty, who are actively engaged in policy formulation, research, case writing and consulting. IIMB's research centres include the Centre for Public Policy, the Nadathur S Raghavan Centre for Entrepreneurial Learning, the Centre for Financial Markets & Risk Management, the Centre for Corporate Governance & Citizenship, the Centre for Software & IT Management, the Centre for Supply Chain Management, and the Centre for Enterprise Resource Planning. We are known for excellence in research and scholarship, global character, values, diversity, and for the impact we make on multiple stakeholders and the society. IIMB lays great emphasis on holistic development of students. The Institute provides a range of opportunities outside the classroom as well - be it industry interaction, cultural activities, sports competitions or entrepreneurial pursuits. IIMB offers students opportunities to interact with and learn from accomplished people. Business leaders, representatives of government and non-government organizations, artists and intellectuals regularly visit our campus on invitation to deliver talks and presentations that provide insights to the careers and personal attributes of these role-models. For learning to be effective it needs to be delivered in a congenial environment that not just nurtures but stimulates the interest of the best minds that receive it. 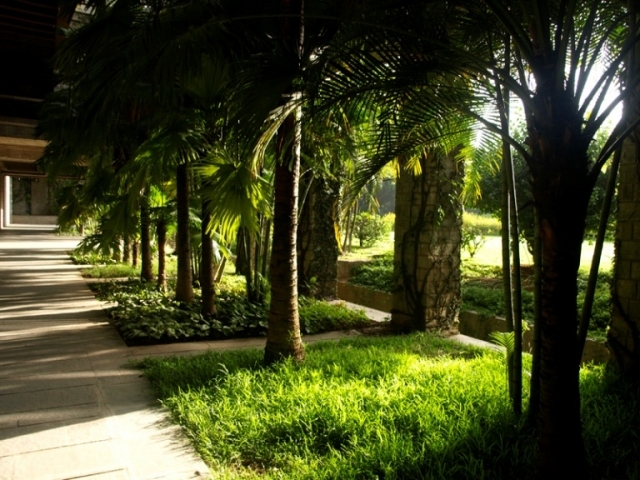 IIMB offers world-class infrastructure that supports the pursuit of knowledge and the exercise of individual interests. The spacious, beautiful and well maintained hostel blocks provide single room accommodation to all students. Spacious and extremely well stocked the library is regularly updated with the latest journals and newsletters. It also provides access to online databases like Bloomberg. Its services are subscribed to by working professionals too. IIMB is the only fully Wi-Fi enabled campus amongst comparable institutes. The Computer Centre is available for use 24 hours. Printer facility is provided in the computer centre as well as in the hostel blocks. High speed Internet, highly resourceful intranet, sharing software, and internal messenger make all work easier and quicker. With a strong focus on overall development of the student's personality, IIMB has robust sporting infrastructure. This includes facilities for tsepak, soccer, cricket, tennis, basket ball, volley ball, throw ball, badminton, indoor games etc. These facilities have had a role to play in the institute having a strong sporting culture. A state of the art music room with good acoustics, electric guitars, bass, amps and a Tama drum-kit is a delight for all music lovers and players. The world is changing rapidly, and managers of today have to be in tune with current trends. 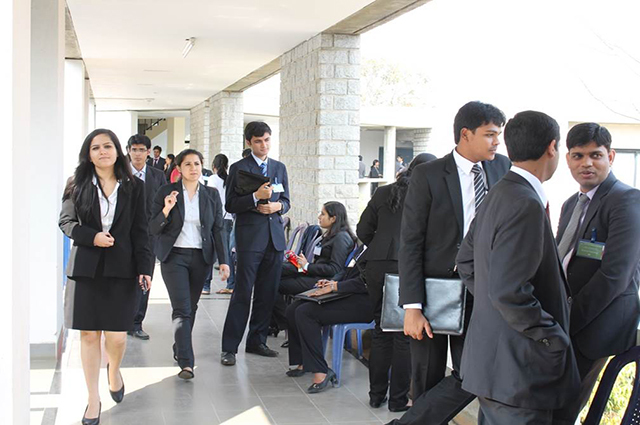 IIMB constantly reinvents itself in order to find the most suitable candidates. What does it take to make it to the PGP course at IIM Bangalore? Firstly, aspirants prepare to compete head-on against 300,000-odd candidates from all across India who apply for the Common Admission Test (CAT). Then, face the grueling 2-3 hour exam, acknowledged to be the most competitive test used for admissions to B-schools anywhere in the world. Once they make it into the chosen few who get called for the interview, they prepare to face panels comprising some of the best management faculty in India. The evaluation consisting of a rigorous all-round process of group discussions and interviews unerringly measures potential, personality, motivation and goal-orientation. The 350-odd students remaining in the fray are truly worthy of wearing the IIM Bangalore badge with honour. IIMB is thus a melting-pot of the crème-de-la-crème of students from all parts of India, and some from overseas. Our students bring with them diverse educational profiles, work experience and cultures. Though linguistically different, during the stint at IIMB, our students learn to speak the one language of management. The two-year PGP, leading up to a Post Graduate Diploma in Management (PGDM) is the flagship programme of IIM Bangalore. It is designed to equip students with the skills and capabilities that will enable them to reach responsible global positions in management. The PGP revolves around the principle that world-class business leaders are not mass-produced; they are nurtured and developed with personalized care and attention, in small work groups and teams, and in a practical, application-oriented, user-friendly environment. Visit the PGP section for more details on Admissions. Designed for working mid-career and senior executives, the Post Graduate Program in Enterprise Management (PGPEM), is tailored to integrate real world experience with classroom learning. The PGPEM is a 22 month diploma granting program, delivered over Friday afternoon and Saturday classes. Participants learn from world class faculty, while strengthening their network through collaboration with peers when they stay at the beautiful campus on Friday nights. It provides a strong grounding in general management through the core courses in the first year, and ample opportunity to acquire specialized knowledge through a rich choice of electives in the second year. It also provides participants opportunities to go on term exchanges with IIMB's international partner institutions and short duration immersions to select countries. Visit PGPEM section for more details on Admissions. Catalyzed by the Government of India and United Nations Development Programme the PGPPM is packed with path breaking insights about winning policy making and management strategies. It offers participants global exposure through tie-up with Syracuse University, USA. The EPGP is an intensive one-year, full-time programme designed to enhance skills and capabilities essential for responsible positions at senior management levels. Challenging, widespread and globally oriented, this objective of this programme is to produce future leaders who can handle the dynamic corporate environment. The Fellow Programme in Management is the doctoral programme of IIMB and is committed to training individuals who will excel in their area of research through publication quality work of international standard. CDS and the student committee reach out to companies and invite them to participate in the placement process. Companies can also reach out to CDS and express an interest in recruitment. The companies are then scheduled for a Pre-placement talk. The Pre-placement talk (PPT) is a platform for interaction between the company and the students. The representatives of the company share the profile of the company, key aspects of its business, work environment, and opportunities available to the students. The presentation is followed by a Q&A session where students interact with company officials to get a better understanding of the company and potential roles. A typical pre-placement session is scheduled for 90 minutes. In view of the academic calendar of the students, the sessions are normally scheduled between 4pm to 6pm on weekdays, and between 8am and 8pm on Saturdays and Sundays. Interested students apply to the company through the CDS office. A detailed resume is submitted by the student as part of the application process. The final placement process is conducted over an extended period of time beginning in the second week of November. This gives the companies ample time for any customized selection processes that may be required. The final placement interview gives the company and the student an opportunity to discuss the role in detail and make the right choice. The company can make an offer to the student after the final interview. The offer should include details of role, location, remuneration, and other relevant terms and conditions required by the candidate to make a decision. The offer is communicated by the company to the CDS office which in turn communicates it to the selected student. The acceptance of an offer is governed by placement rules of the EPGP which are framed at the beginning of the academic year and may vary from year to year.